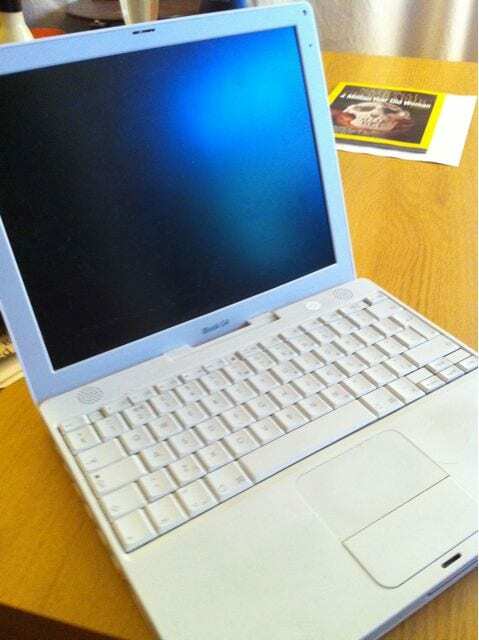 Since getting my netbook at Christmas, I’ve barely opened my iBook, which is a real shame as this is a great computer. Which is why I’ve decided to sell it. 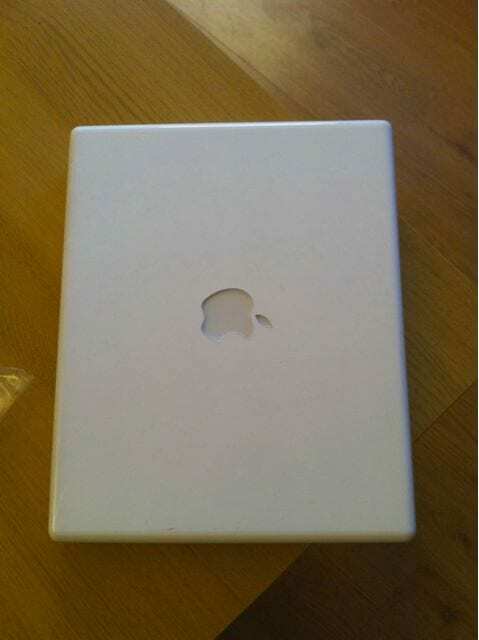 I’ve had the iBook since Oct 2005, and it’s been with me everywhere. From lecture halls to hospitals, Aberystwyth to Utrecht, it’s worked happily and still does. It’s a bit dirty. How the hell do you clean white plastic?! So 2 years ago, I’d just moved to Bristol and invited Dad and Maria over for dinner. I showed Dad something on the laptop when it fell out of my hands and knocked itself. This is the extent of that damage. 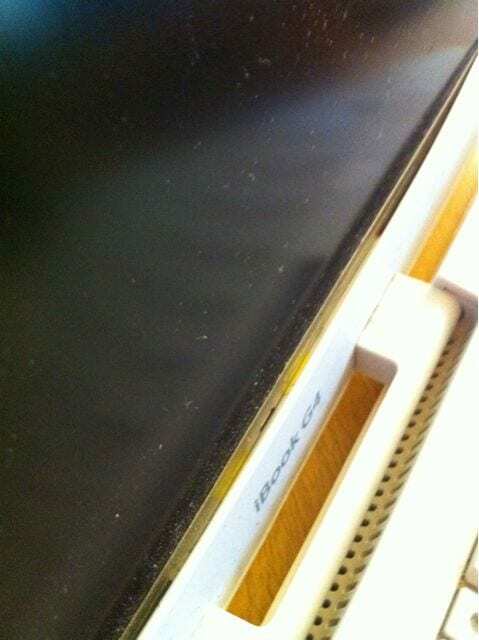 Its got a bit of a gap between the plastic and the screen. The wiring on the plug is a bit dodgy. 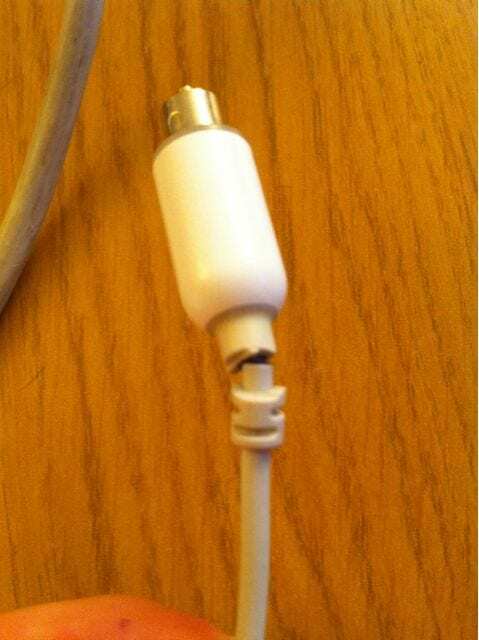 You can buy replacement chargers on eBay but *touch wood* I’ve not had any problems with this, and it’s been in this state for a while. 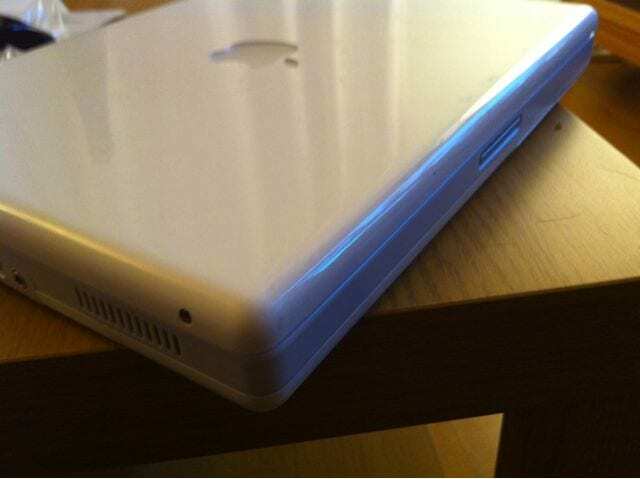 It’s the last model that Apple did in the iBook range, a 12 inch model with the standard spec. I’m typing this on my iPhone, but will link to the relevant page when I get a chance! Here’s the page from Apple with the full specs. It was part of the range that had their batteries recalled because they kept blowing up or something, it was changed around Dec 2007. Battery life is reasonable, about 2 hours? Want it? Drop me an email to hi (at) ceriselle.org. I’m open to offers, because I have no idea what to ask! The guys at the apple store told me a soft rubber was the key to cleaning my white macbook, after I had some colour from my navy duvet cover transfer over to the bottom. Works a charm! I bet Mr. Clean Magic Eraser would clean the plastic!